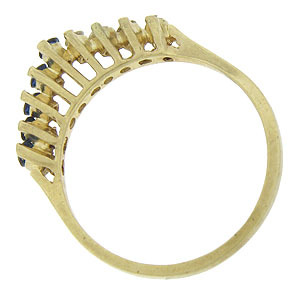 Escalating prongs reach up the sides of this 14K yellow gold estate ring to a central point. 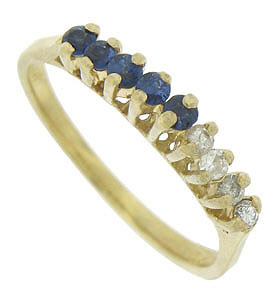 One side of the ring is set with deep blue sapphires, while the other side features fine faceted diamonds. The ring measures 3.04 mm in width. Circa: 1970. Size 5 1/4. We can re-size.